superb boat and nice contrast with building!! Very nice capture of this sailboat. What an unusual shaped building, it compliments the prows of the ships. Interesting juxtaposition of the lines of the raked masts and of the upper portion of the adjacent building. Nice framing of the distant high rise building by the mast and stay, too. Very interesting mix of straight and leaning lines ! 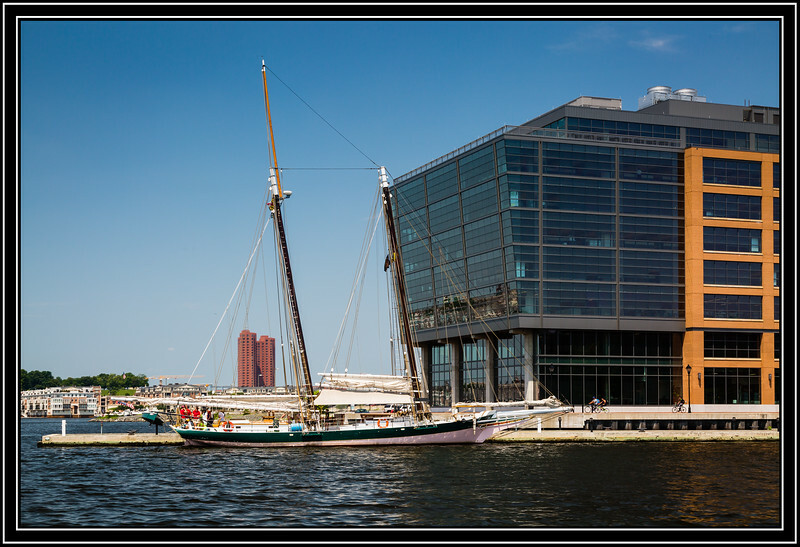 Wonderful shot of this gorgeous sailboat and the waterfront buildings!